Don't Miss These Great Events on Chicago's North Shore! Summer is a great time of year along Chicago’s North Shore. Each North Shore city has a wide variety of things to do from festivals, concerts, outdoor markets and much more! So, whether you live in Winnetka, Northbrook, Glencoe, Highland Park and Deerfield, you’ll always find something fun to do! As a North Shore Real Estate agent, I know that buying a home is much more than the property itself, but consists of finding that lifestyle that fits you! In light of this, I try to give buyers a well rounded view of what each North Shore city has to offer. Whether you currently live on the North Shore or are considering relocating soon; you won’t want to miss out on the much anticipated upcoming events. Take a look! - The Northbrook Days Festival is in its 88th year and is hosted by and raises funds for The Northbrook Civic Foundation. This non-profit organization seeks to enhance the quality of life for Northbrook residents through hosting and supporting various events. The Northbrook Days Festival is highlighted by live music, local artisans, local food vendors, carnival rides, games and prizes! 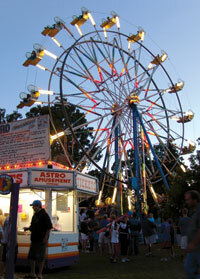 You can view the entire schedule and more information on the Northbrook Days Festival website. - You don’t want to miss out on the 40th annual Evanston Lakeshore Arts Festival! Since 1973, this festival has been a favorite of Evanston residents as it allows for a chance to meet local artisans, musicians, food vendors and to hang out with neighbors, family and friends. This year is highlighted by live jazz and classical music, the Children’s Craft tent, a silent art auction and much more! Visit the Evanston website for the entire schedule of festivities! I hope you have the opportunity to participate in one or both of these events! Both are a great way to meet neighbors and interact in the community. They’re also fun for the whole family! You’ll find that in living on Chicago’s North Shore, you’ll find endless things to provide you with the lifestyle you’ve always wanted. If you have any questions about the current North Shore Real Estate market or are interested in seeing some of the homes currently available; please contact me today. I look forward to helping you find your new home and discover the vibrant North Shore! Retire Mortgage Free on Chicago's North Shore! Retiring on Chicago’s North Shore has a wide appeal as many are hoping to spend their post-work days in a beautiful setting on Lake Michigan’s shoreline. There are endless opportunities to experience the vibrant communities, and the convenient and comfortable lifestyle this north of Chicago area has to offer. As a North Shore Real Estate agent, I enjoy working with those relocating to the North Shore or those interested in spending their retirement years in their ideal home in Winnekta, Deerfield, Northbrook, Glencoe or Highland Park. Many retirees find the gated communities, quiet neighborhoods and quaint downtown atmosphere are exactly what they’re searching for and I enjoy helping them make their dreams a reality! Yet one of the things I hear is that the goal is to retire mortgage free and, while that may seem too good to be true, it’s easier than you think! 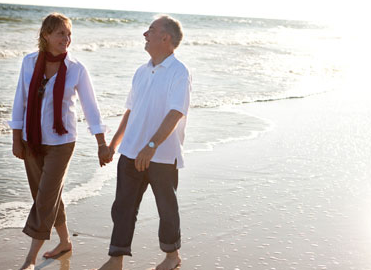 The thought of retiring only to take on a new mortgage keeps many from taking that next step. However, the wide variety of perfectly priced homes on the North Shore Real Estate market and a few key tips listed below can help you settle into retirement without a mortgage! Take a few minutes to review these three basic tips that can help you become mortgage free in no time. 2. Refinance Your Mortgage- If you currently live on Chicago’s North Shore, refinancing your home could be one of the best ways to cut costs each month or switch to a shorter term loan. Many people are considering refinancing due to the historically low interest rates we’ve seen over the past few years, which is great if your goal is to reduce monthly payments. 3. Downsize in Your North Shore Home- We all love to have our own space and a home that allows for hosting gatherings and guests. But, do you need the same amount of space as you did earlier in life? While you do want to account for friends and family that will want to come visit you in your North Shore home; you won’t need a lot of extra space such as a formal dining room or a formal living room. Downsizing can allow you to find a less expensive home and, if you are selling your current home to relocate to Chicago’s North Shore, you could potentially make an all cash offer! I hope these tips give you the confidence you need in taking the next step in searching for your ideal North Shore home knowing that you could be mortgage free! As always, I’m here to help you through each step of searching for and buying your new North Shore home! Don’t hesitate to contact me today to we can begin to put my years of experience in the North Shore Real Estate market to work for you! Highland Park Active Listings: There are a total of 286 properties actively on the market with the average price of $979,695 in Highland Park. Highland Park Sold Listings: 46 properties closed last month in Highland Park with an average sales price of $602,685, the average time on market for these properties was 111 days. Deerfield Active Listings: There are a total of 148 properties actively on the market with the average price of $484,078 in Deerfield. Deerfield Sold Listings: 44 properties closed last month in Deerfield with an average sales price of $433,138, the average time on market for these properties was 64 days. Glencoe Active Listings: There are a total of 85 properties actively on the market with the average price of $1,565,946 in Glencoe. Glencoe Sold Listings: 21 properties closed last month in Glencoe with an average sales price of $1,123,145, the average time on market for these properties was 96 days. Winnetka Active Listings: There are a total of 159 properties actively on the market with the average price of $1,846,475 in Winnetka. Winnetka Sold Listings: 36 properties closed last month in Winnetka with an average sales price of $1,330,681, the average time on market for these properties was 79 days. Northbrook Active Listings: There are a total of 269 properties actively on the market with the average price of $589,228 in Northbrook. Northbrook Sold Listings: 72 properties closed last month in Northbrook with an average sales price of $433,543, the average time on market for these properties was 64 days.